This is Anna and this is my first time teaching a class on Skillshare (or anywhere...). I hope you'll like it and please, I will be really happy to know any little thing that needs to be improved, so your comments are more than welcome! Thank you and enjoy! Design a pocket-sized daily planning system using everyday materials. Both for those who are passionate about planning and organization, or for those who are completely chaotic and messy, this class aims to provide a tiny tool in our daily lives that could be a complement or maybe an alternative to our regular planner. 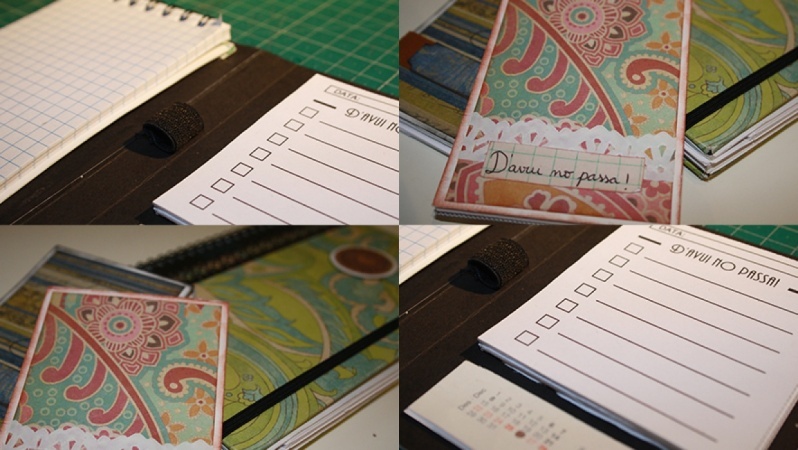 We are going to build with our hands the perfect easy and simple, two-pages planner, custom made for everyone of us. This final outcome will be an option that will allow us to reflect on which is the best way for us to be organized, and it will become an object completely customized and made to fit us. STEP 1 Set up your essential planning system - Share a photo of what do you usually use to get yourself organized (paper planner, mobile app, post-it on desktop, piece of paper...). STEP 2 Build the structure - Share a photo of your structure measurements draft. STEP 3 Make your own notepad - Share a photo of the process of this diy. STEP 4 Let's be creative! - Share a pthoto of the materials you are going to use (at least one physical object you use in your everyday life). STEP 5 Joining all the pieces together - Share your final outcome. The idea is that this project can be made by using daily things that we can find easily at home or near by. I hope this little class will be really helpful and let us all have a great time!